hat a great opportunity and welcome home! This mid-century 4 bedroom 3 bathroom beauty boasts of 2860 square foot of interior living space. Entryway foyer with lush foliage, water feature, and spiral staircase. Lower level family room with oversized windows overlooking the massive front yard to the north and entertainers backyard with completely remodeled swimming pool to the south. Families enjoy the coziness of the grand fireplace, kitchen, living area, one bedroom and one bathroom on the first floor. The second floor has the charm of the additional master bedroom, bathrooms and living areas. With the area housing inventory so low seller says submit ALL reasonable offers! 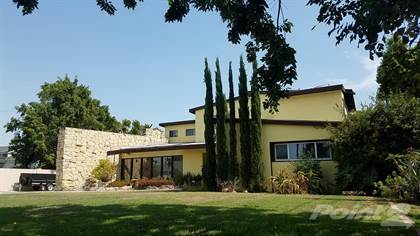 Hi, I'd like to find out more information about 9592 Stanford Ave. Thanks so much!